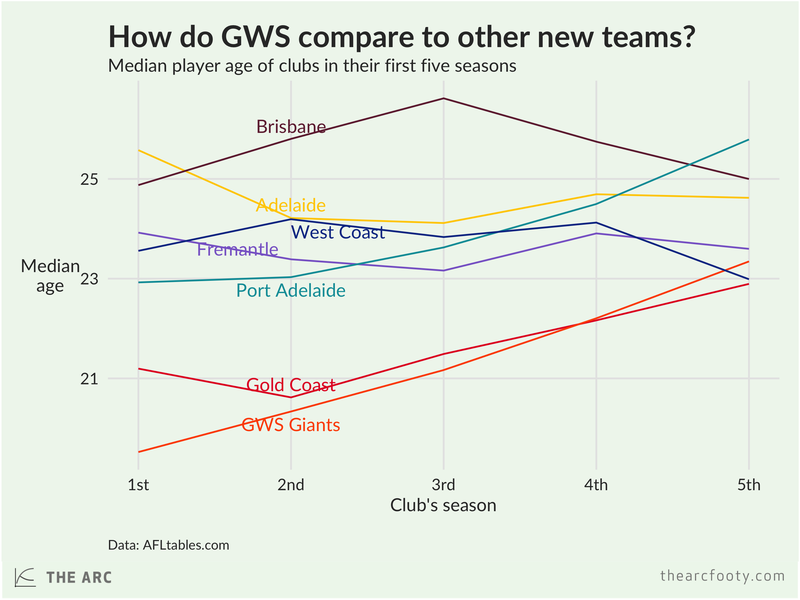 The median age of GWS Giants players this year was 23.3, quite close to West Coast’s median age in their fifth season, 1991. The Giants won 16 games in the 2016 home and away season, 72.7 of their total. That’s the same record as the 1990 Eagles, and a little shy of West Coast’s 86.4% in 1991. 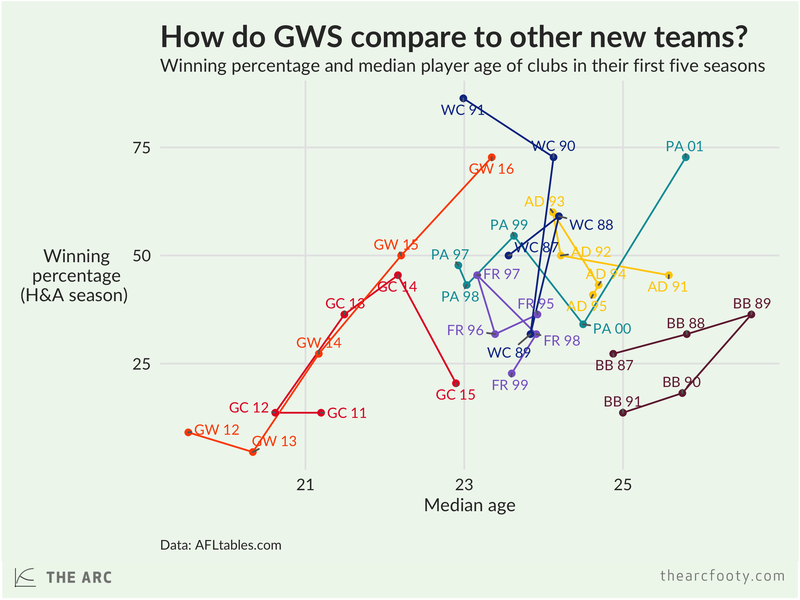 The Eagles of the early 1990s look to be the closest comparator for the Giants in terms of their age profile and their record of success. The Eagles, of course, played in three grand finals in the early 90s, winning two of them.